The 3 major graphics card vendors (Intel, nVidia and AMD) may bundle their graphics driver with utilities. These utilities are designed to view and control displays directly connected to their graphics card. This is why, even if DisplayLink indirect displays content is computed by the main graphics card, these utilities may not show additional displays. 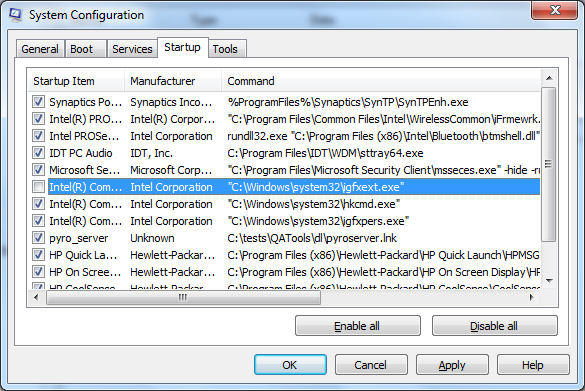 We recommend you use the standard Windows display settings panel to alter the desktop configuration (layout, orientation and resolution) as it features all displays directly or indirectly connected to the main graphics card. With the graphics architecture Microsoft released in Windows 10 Anniversary Update, DisplayLink indirect displays could be added to these utilities for control. However, the graphics card vendor needs to modify their utility to report these additional displays. DisplayLink is unable to affect the behaviour of these utilities and we recommend that users report their wish for indirect display support to the third party who issued the utility. This module is provided by Intel and is connected to Intel display management. However it sometimes seems unstable in the presence of additional displays, eg those provided by DisplayLink. Click OK to apply the change and reboot.